I also started with nearly straight leaf springs (WRONG) mounted to the top of the rear axles, common practice for almost all truck makers, but not Mack! Again as said previously, this resulted in a chassis that rode WAY too tall in the saddle. 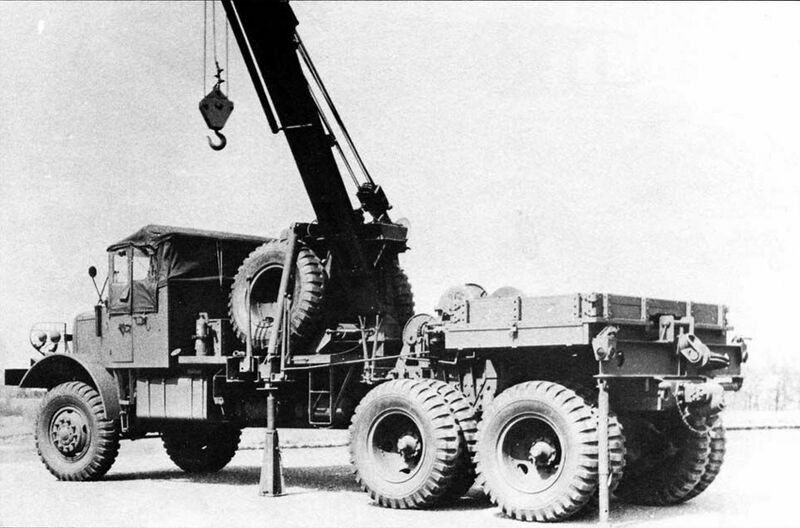 If you will check the frame side drawing posted earlier you will see that the Mack employed an off-set frame where the formed frame members make a vertical jog up and over the front axle. In this photo I have now added that vertical jog to the frame and STILL the vehicle is riding too high. 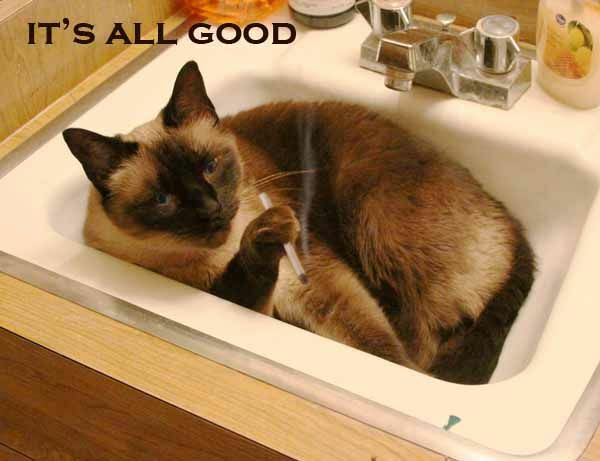 as shown in this photo from the Army Tech Manual. Mack calls this spring style the "Camelback" design. Some used Mack Camelback rear springs that I found tonight after a brief search on the web, up for sale. According to Mack this unique design actually helps steer the truck, smooth the ride and improve handling control. As the heavy truck moves into a curve the centripetal force makes the truck body lean outward increasing the load on the outside wheels. 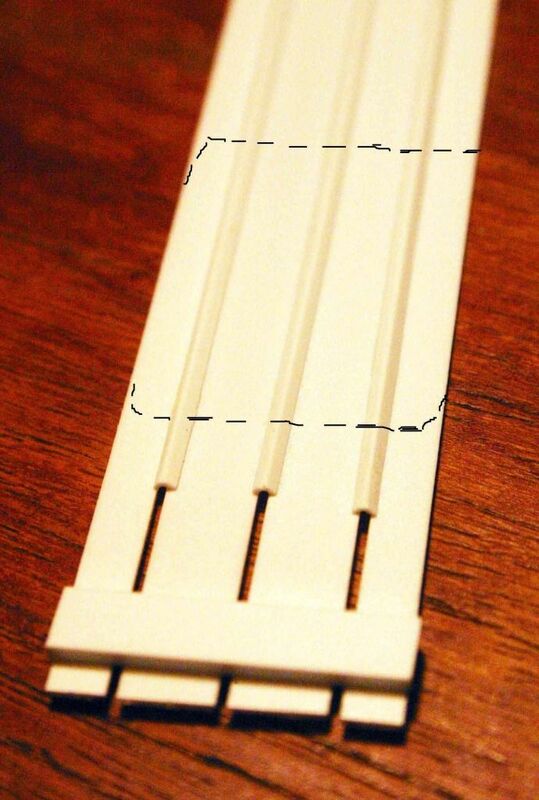 This increased load compresses the outside springs causing the flattened spring to become longer. 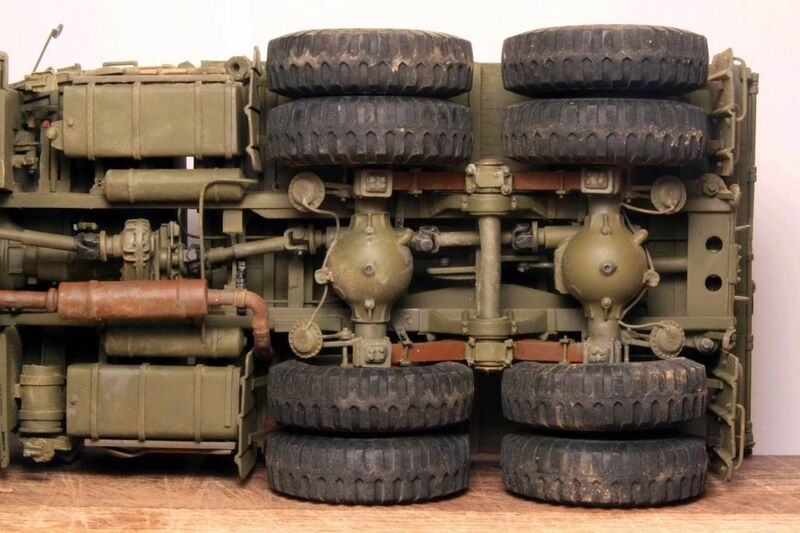 Looking downward on the two axle rear bogie from above, the wheels on the outside of the curve move further apart causing the axles to skew, this allows the rear boggie to "steer" a bit to better follow the bend in the road than would a conventional straight leaf spring design. Just bend em, glue em, strap em and ya got em! The rubber and steel cushioning blocks have now been mounted to the axles. 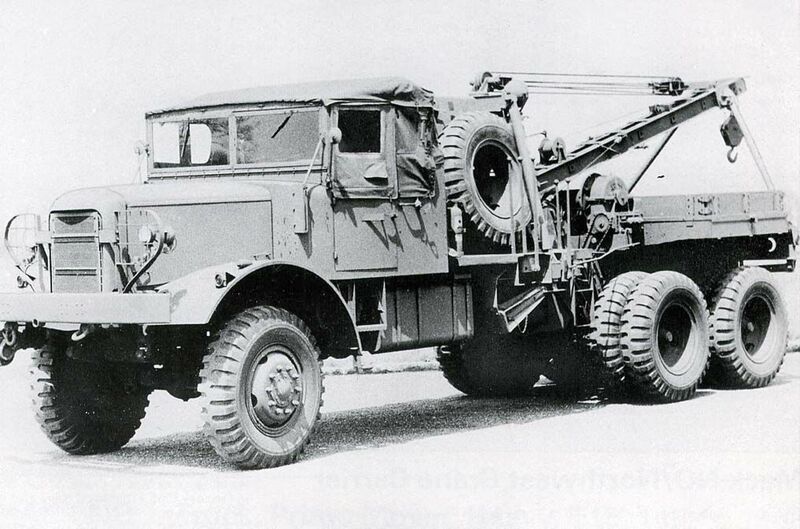 Mack built two long wheelbase NO prototypes for the military with Gar-Wood cranes installed. 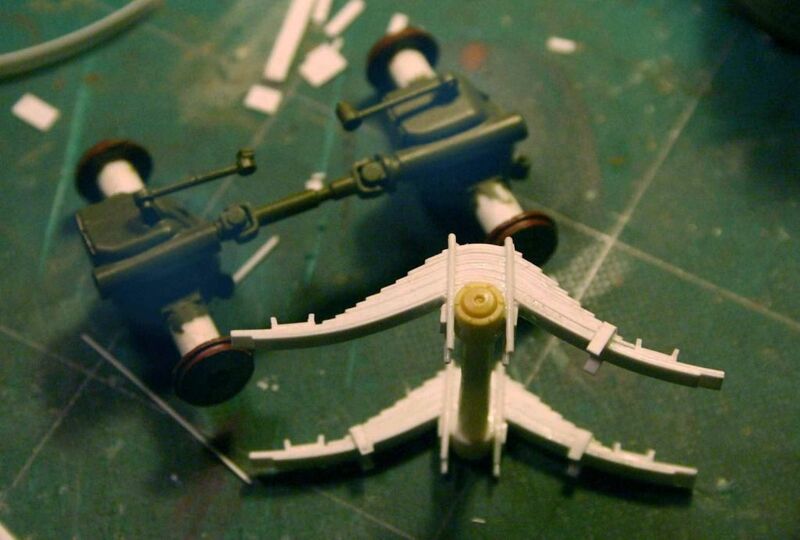 One for the Army and one for the Air Corps. Unfortunately neither were accepted into full scale production. 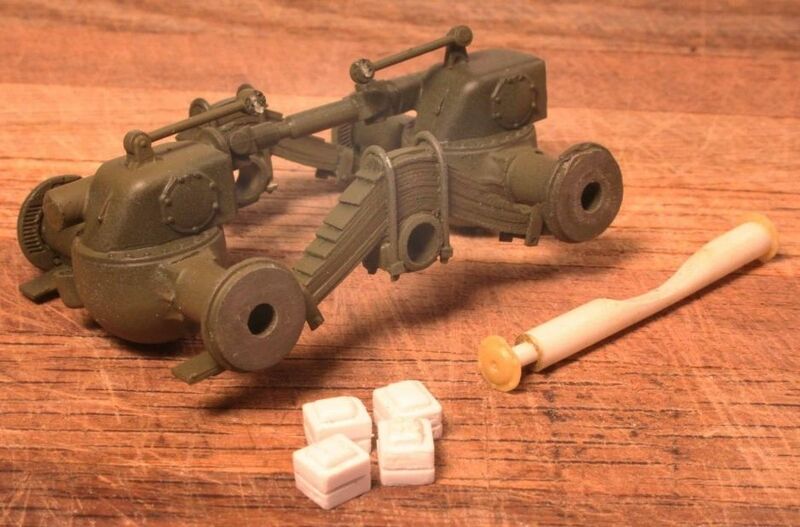 Above is shown the Army version with double Gar-Wood winches and a small load box. The third photo shows the Air Corps version with single winch and fifth wheel for towing an aircraft recovery trailer. The Gar-Wood crane is, more or less, easy enough to scratch build but I just don't think I have the heart (or the years left) to build another Mack NO. GORGEOUS!!! 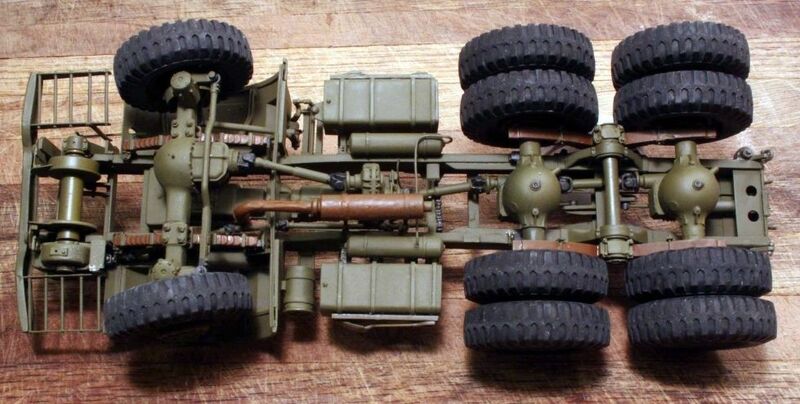 Now if ONLY one of the plastic kit manufacturers would do one of the "standard" Mack NOs and the M1 240mm Howitzer... 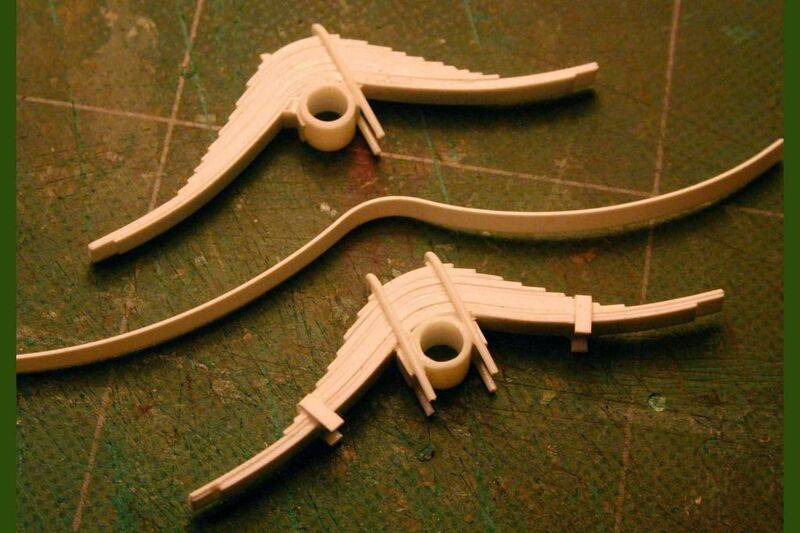 There's hope, though- look at some of the US WWII stuff that HOBBY BOSS and MIRROR MODELS have got in the works!!! That is my hope: that one of the manufactures will come out with the NO6 and then I can modify that kit to portray #1 the original prototype NO with the "C" shaped cab and the self-distruct winch and #2 lenghten the frame and scratch build the Gar-Wood crane! I started with the rear axle mounting towers that attach to the rear bogie springs. The towers provided by the Dragon Wagon measured out to be the correct height. All I had to do was shorten the rear frame channels to get the correct rear overhang length. The nearly complete rear bogie. 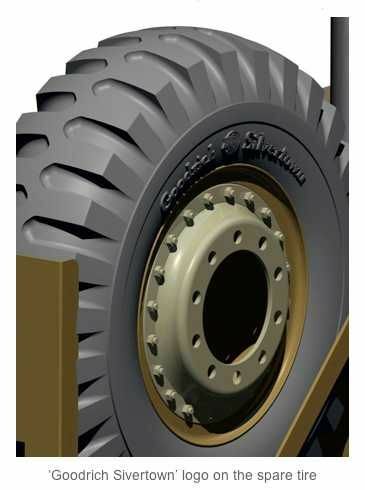 The round tube with the end caps is the bogie support tube that goes thru the axle bearings and thru the axle mounting tower pillow blocks (bearings)and is capped offf on each end with a bearing cover plate with lub fittings. 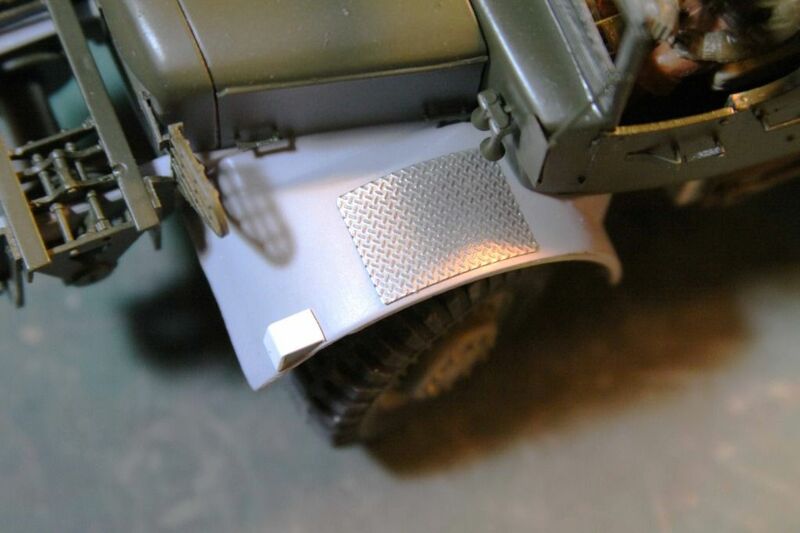 (I could not find bearing cover plates that said "Mack" on them so I had to settle for Panzer IV road wheel bearing cover plates which serve exactly the same purpose on the Panzer as they do on the Mack. I cannot tell you how many times I cut down the front axle spring towers before getting the frame height to correct level. I scaled everything on my Mack NO off this photo. The only known measurement was the 24" wheel drums. Using a set of dividers on an 11x14 print I determined everything else. Remember the 24" is not the outside edge of the wheel rim in the photo but the next line in which represents the actual size of the drum. As I said, take your 24" scaling measurement from the inside drum of the wheel and not the rim of the wheel. A fairly easy conversion using some of the tread plate that comes with the Dragon Wagon kit. I cut the plate down to size and very carefully worked it around a broom handle sized dowel to work up the curve. 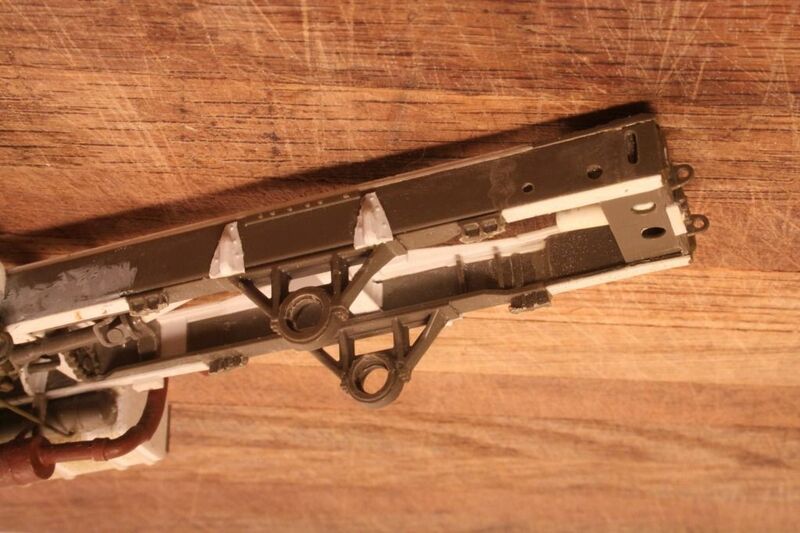 If you want to include even greater detail add 8 bolt heads, four along each side. 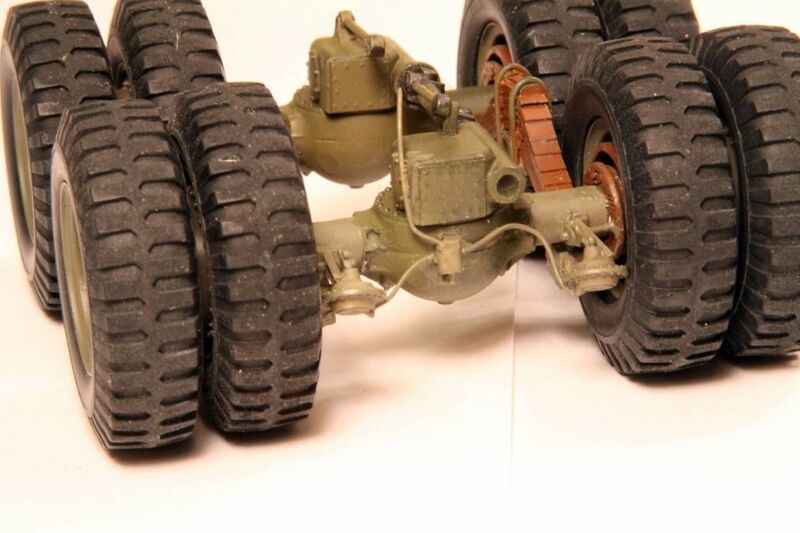 In the near future someone MIGHT be working on a raised letter tire for the M26 Dragon Wagon which would therefore also fit the Mack NO and the T26 Sterling. HI, ALL! Mike, you've got an EXCELLENT Master for a plastic kit of the Mack NO!!! The Mack NO is one of my FAVORITE US softskins, right up there with the ubiquitous Jeep and GMC 2.5 ton truck! 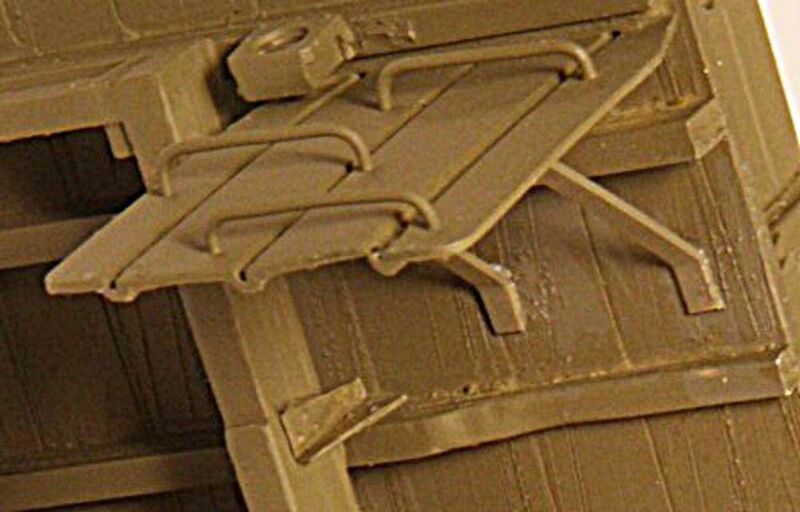 Referring to your agonies with suspension and ride-height of your Mack, that's just ONE of the problems with the 1/35 WESPE Mack NO6- it sits way too high, making the vehicle look spindly in comparison with the brutish look of the real thing. 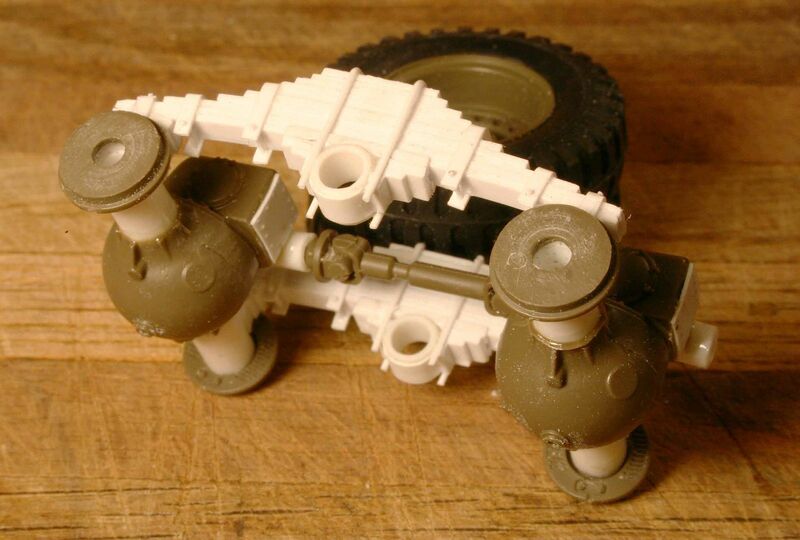 Also, the tires and wheels of the WESPE kit are undersized and inaccurate. In the ADV/AZIMUT kit, I take issue with the vacuum-formed open cab and fenders- for the price of that kit, ADV/AZIMUT could have engineered a resin cab and fenders. Also an issue, the lightening holes of the wheels are badly misshapen and not even of uniform size. 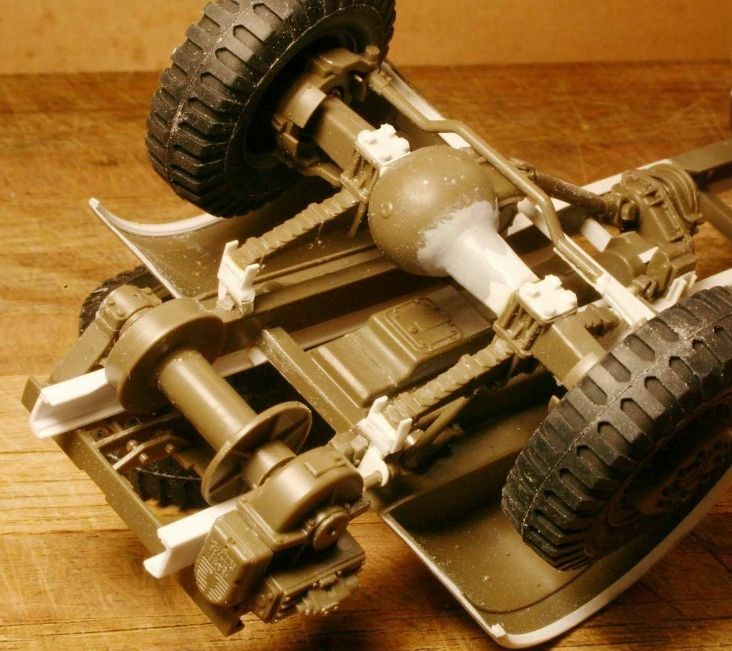 As I mentioned in one of my earlier posts, I'm going to kit-bash, scratch-build and modify my ADV/AZIMUT, and WESPE Mack NO6 kits with a spare TAMIYA M26 Recovery Vehicle. 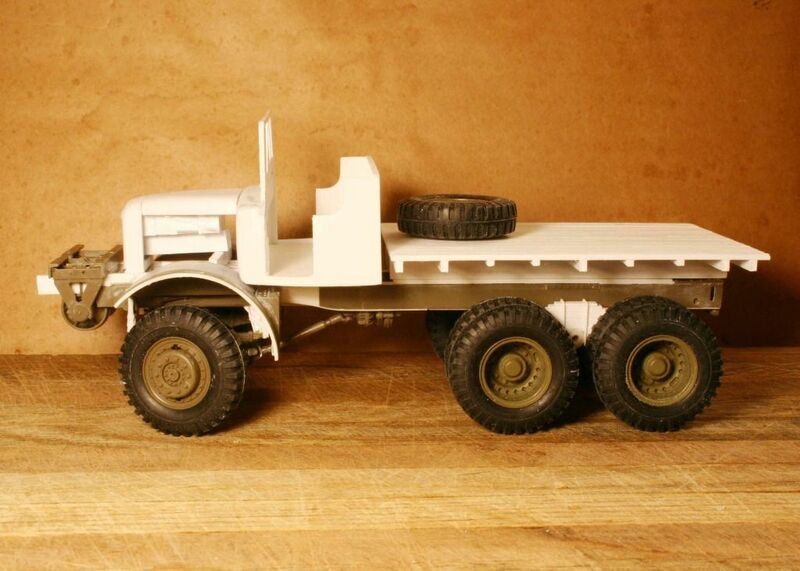 One of the difficulties with building the Mack NO out of M26 parts is that the Mack requires two rear differentials. 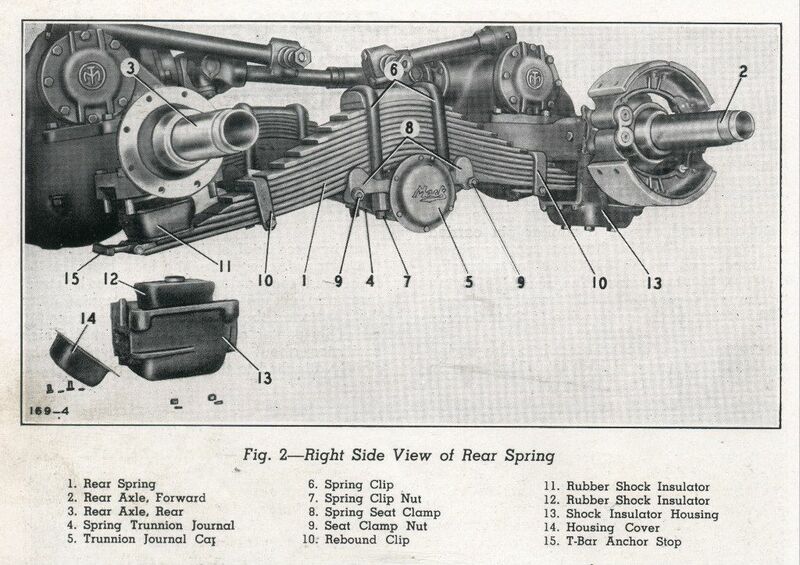 Because the M26 was chain drive it only required one differential. I was fortunate in that I picked up both a fresh M26 AND a basket case all in one auction on eBay so I was guaranteed the two that I need plus beau coup spare parts! The differentials are probably fairly good on the Azimut and Wespe kits so this should not be a problem for you. 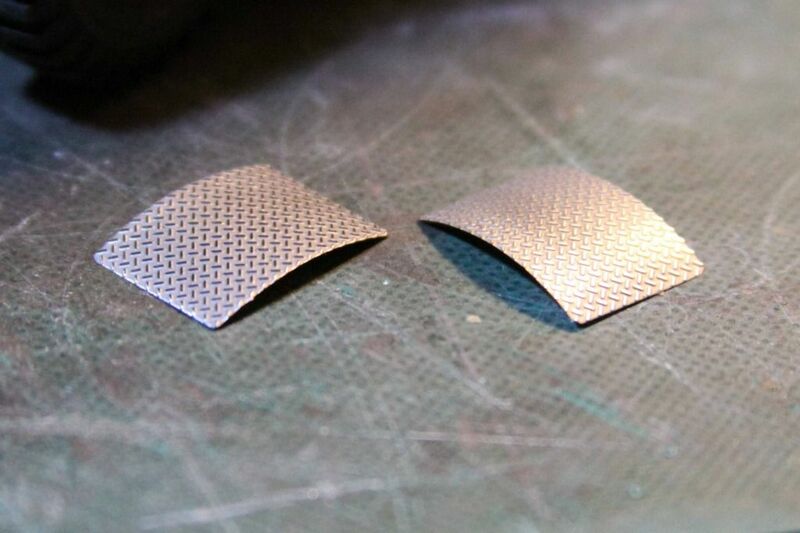 After a failed attempt to actually use brass sheet to make these embossed mudflaps I came across a technique that in some ways is very similar to the method for making the ladder racks that we discussed earlier. Again I start with appropriately spaced runners cut longer than the mupflap required. In this case I used runners long enought to give me all four needed mudflaps. 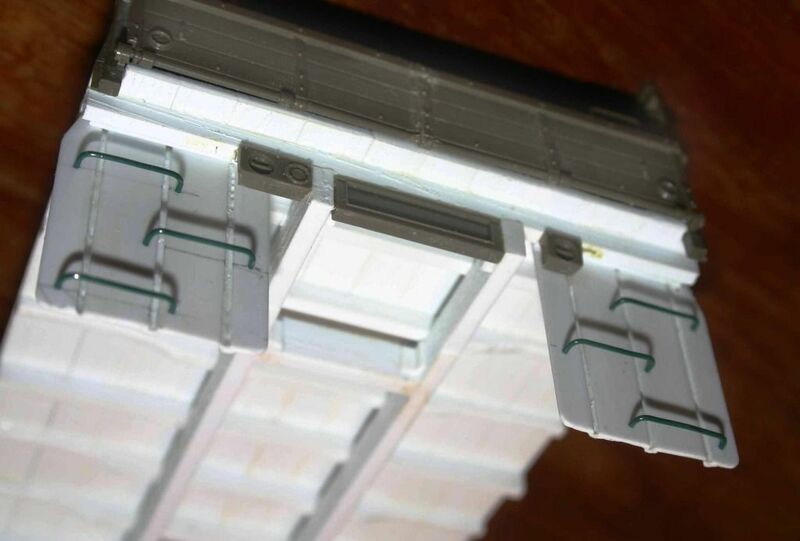 To this I glued on two horizontal spacer bars, one top and one bottom to keep the runners at the correct side to side spacing. Finally I added small Evergreen angles to form the embossings and let all this dry completely. The dashed lines represent the cuts I then made to give the mudflaps their final form.